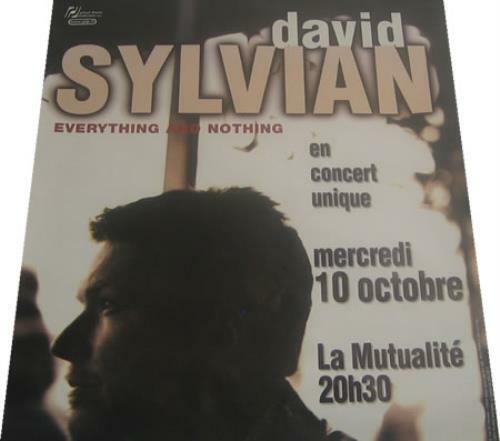 DAVID SYLVIAN Everything & Nothing (Scarce promotional 30" x 23" French poster to publicise the highly anticipated 'Everything & Nothing' French date of the tour which was orgainzed to promote the compilation album. The text is in French completewith a small sticker at the foot of the poster promoting the Readymade project which Sylvian contributed to. A stunning headshot of David set against a shadowed out background - A superb piece of poster art).